My Valentina is getting to that age where she is wanting a little freedom, I am trying to be a responsible parent and give a little. I cannot shelter her for the rest of her life like I want to, I can't make all her decisions for her, just so she doesn't have to live with bad choices. The teenage years are looming quickly, I am not looking forward to them... they were scary enough with Andrea, with Valentina I worry she is too trusting and soft hearted. She came to me tonight and asked if she could go to a sleep over to a girl she barely knows, I told her I would think about it because I like time to prepare my answer. I am not ready for that type of night out yet, if I knew the girl and her family I might be inclined to think differently... however; I am very protective of Valentina and Cindy is even more so. I do have to give her a little lee way with some choices she wants to make, clothing, make up and nail polish... all of these are not life threatening, so I don't waste anytime arguing about these choices. I am sure she will learn as she goes along about some of her choices and she will then make new and better ones. She won't be super happy with me about this decision but I do think this is an important battle, I have to protect her, especially since she is still so young. Being a mama is rewarding and difficult at the same time... I wouldn't change having either of my daughters, I have been extremely blessed. Besides Andrea told me that I should put my foot down early and not let Valentina get away with what she did. I tend to agree but then again Andrea turned out pretty great and she can think for herself and make very good choices. Of course Valentina is a lot younger in her maturity than Andrea was at the same age. Two very different children, each with their own challenges and each with their own rewards. I am trying to walk that fine line where I don't push Valentina away but that I don't smother her either. That's the toughest line to walk, also, it is not the most popular line to walk. One of the things I do expect from Valentina that I didn't stress enough for Andrea is a little respect... 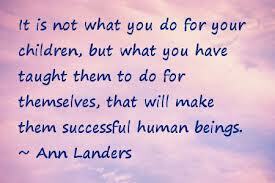 I understand frustration as I get that way myself but I don't want anyone, least of all my children disrespecting me. I can not imagine how hard it is to be a parent. Fact is every kid has times when they think they should get to do things their parents won't let them do. My mom had a magic ability to help me make the decisions she would make for me. Lol, but bottom line is kids sometimes make bad choices. I'm sure your daughter knows you make choices for her safety. One of the reasons I would never want to be a parent. boy do I hear you. Sometimes Launna b/c of what happened to me....I am too overprotective of my girls. I'm afraid for them.. The only thing that helps me....is knowing He promised to keep them safe. Still....I struggle with letting them go too far. Hugs. 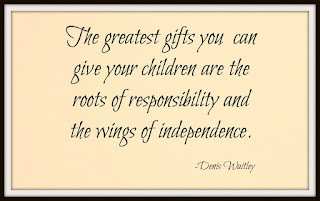 Hope I have my own turn to be parent one day and it is good lesson for me how one should be and go about with kids.. And the last quote is inspiring!! 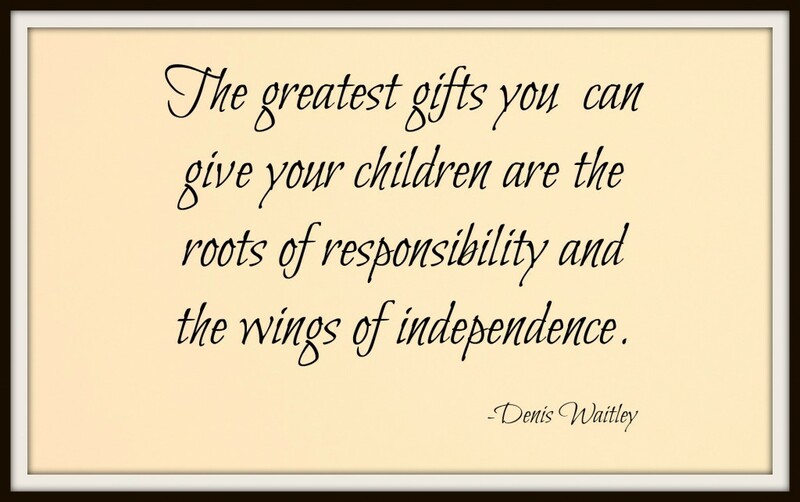 Parenting is indeed a difficult task, but it sounds like you have things balanced well. 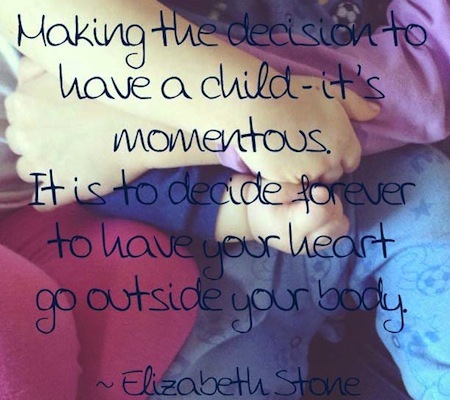 We do need to try and protect them until they are old enough to make proper decisions. You know I saw this picture other day, where there were two kids, one pampering an iphone and the other a bird. There's a lot of difference is what is taught, the love of power or the power of love. I am actually terrified by the thought of Ellie's teenage years. If she will be anything like me, that's going to be the toughest time of my parenting days. I, like you, try to give her as much freedom as possible but being so overprotective comes in my way, a lot of times. I trust you, more than myself, that you'll take the best decisions for Valentina, you've raised one daughter already and did a great job.